The Domaine Vincent Charache is a family winery with 19 hectares of vineyards in the Côte de Beaune. The vineyard was founded in 1976 by Rene Charache, whose son Vincent took over in 2006. All red wines are produced from the Pinot Noir varietal, which have different characteristics due to different terroirs. 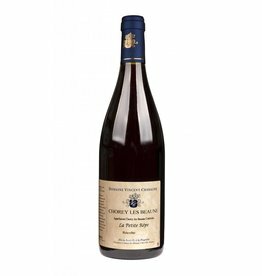 The Bourgogne Hautes-Côtes-de-Beaune "Les Bignons" is the most important wine of Charache, it is one of the best examples of this designation of origin. Vincent Charache also owns plots in the communes of Chorey-les-Beaune, Pommard, Pernand-Vergelesses, Beaune and Savigny-les-Beaune.